Anamorphine is an interesting and touching story of what it’s like to be close to someone dealing with depression and having some real problems in life but being completely unable to help them. It’s a very thoughtful experience but it is also a very flawed game experience. 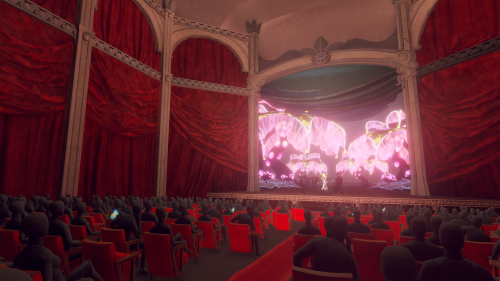 Anamorphine was clearly intended to be a VR game and it mostly works well but some of the experience is lost when not playing it in VR mode. This is our Anamorphine review. In Anamorphine the story is mostly all communicated through visuals and seeing little glimpses of Tyler’s memories and inferring what and why things are happening. There’s no dialogue and very little of the story is conveyed through the written word. 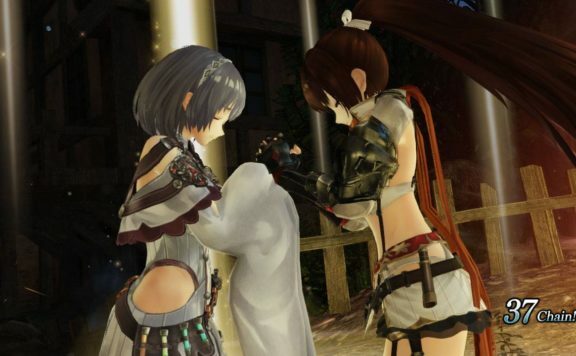 Most of the game is passing through these memories which often are still representations of what was going on and it is left solely to the player to notice the important aspects of each memory. Some memories flow directly into each other and it can be quite jarring from moment to moment, though considering the fluid nature of memory this disjointedness makes a certain amount of sense even though it is quite jarring. All this said, I wish they had varied the method of storytelling used at least occasionally to break things up a bit more. One of the central areas of Anamorphine is a sort of balcony walkway which leads you between each memory. There are many pathways but each time the only choice is to go forward to the center to experience the next memory. After making my way through a memory I would find myself in one of the rooms which lined this balcony. I call it a balcony, but it really seems to exist on its own and is a bit reminiscent of paintings by Salvador Dali. 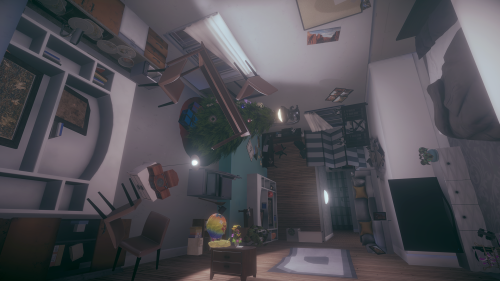 In fact, there are a few areas in this game with feel awful like what I would expect being trapped in a Salvador Dali painting would be like. It’s just very surreal and hard to get your barring but also quite beautiful. I should also mention the sound direction in this game is absolutely superb. Not only is the music beautifully done (even the students learning to play is well done) but everything is implemented in a very thoughtful and interesting way. There are whole sections where it is the sound which is leading you and showing you the way through. 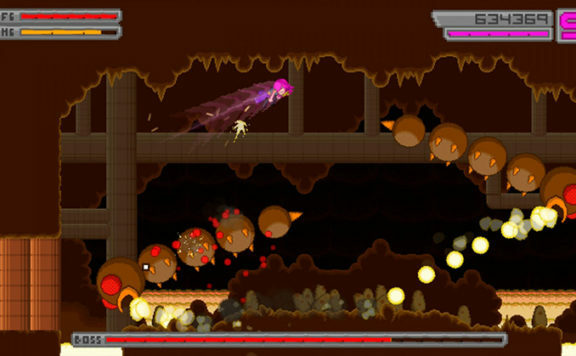 Some areas would be completely unnavigable without the stellar use of sound. 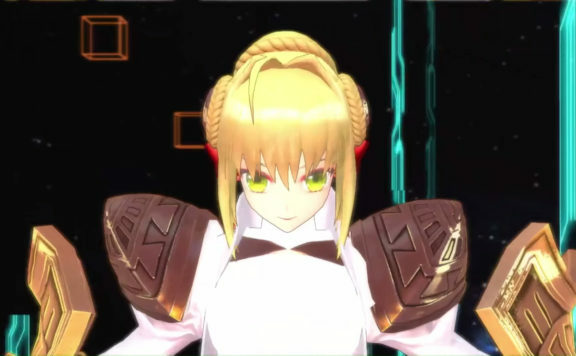 I also should point out for most people this would also probably be completely unnoticeable and would just fade into something which just is in game. Nothing about the sound design is obtrusive. However, as a musician and someone who is just generally interested in how sound is used in games, this is an area I pay a lot of attention to. 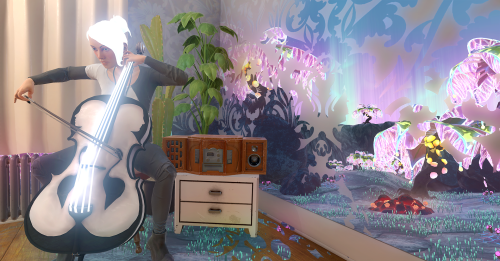 Anamorphine is not a light game, it deals with a lot of heavy themes and emotions. 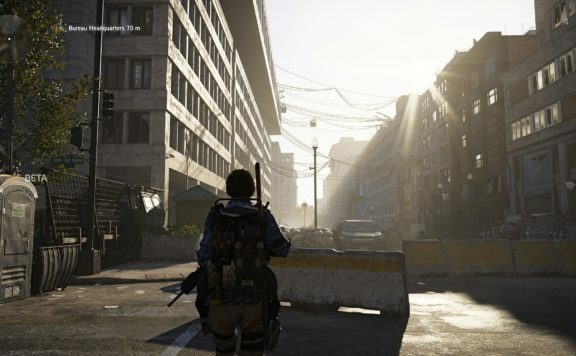 Thankfully the dev team is aware of how some of these things might adversely affect players and not only gives a warning at the beginning but allows the player to choose if they would like to have the option of skipping certain scenes. I do hope this is something which becomes more of a mainstream practice in game development. Although most people dealing with these things might be simple for other people certain things, due to life experiences, might make experiencing certain things in the game particularly damaging. Having this option and honestly just giving a heads-up about what is to come can make a huge difference for a lot of people. Unfortunately for me, the biggest barrier to making through the story wasn’t the heavy themes but rather battling against motion sickness which quickly came on anytime I played. I am somewhat prone to motion sickness but it’s rarely ever this bad. There were certain sections of the game where I needed to take a break after only 10 minutes of playing because it was so rough. Keep in mind here I wasn’t playing this game in VR, so this might be a significant issue for some people. Also, there were no settings I could adjust which helped at all with this issue. Overall Anamorphine is a touching and interesting story which is infinitely relatable. I wish the storytelling had been a bit more varied and I hadn’t had my issue with motion sickness. All of that said, if you enjoy narrative exploration games this is a good one to check out. Robin loves playing RPGs, MMOs, JRPGs, Action, and Adventure games... also puzzle games... and platformers... and exploration games... there are very few games she isn't interested in. 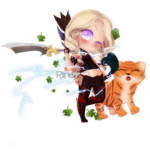 For MMOs she currently plays Guild Wars 2, World of Warcraft, and Final Fantasy XIV. 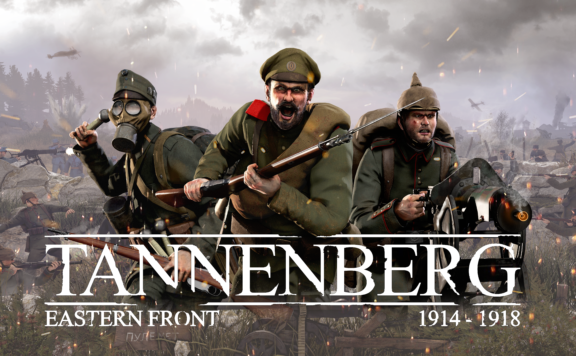 PRESS RELEASE: Authentic WW1 shooter Tannenberg released!